Here's a collection of the wine tastings and wine events of which I am aware. If there are events missing, please feel free to get in touch with me and share the details. O'Briens are bringing their hugely popular winter wine fair to the bank of the Lee on November 10th. 130 wines and 25 winemakers will be waiting for you at the Clarion Hotel, Cork. Proceeds from ticket sales will be donated to the Cork-based Irish Guide Dogs. Tickets are €15 each and can be bought here. Join Cliff sommelier Thierry Sauvnot, Pascal Rossignol from Kilkenny's Le Caveau and Michelin star chef Martijn Kajuiter in a unique celebration of the vineyard, the land and the sea. Hosted at the beautiful Cliff House Hotel in Ardmore, the evening features a fun and informative wine masterclas and tasting, followed by a specially created food menu. The Unusual suspects will showcase wines created with surprising grapes through unconventional methods. Wines featured include stunning bottles from the organic estate of Casa Belfi in Italy, Georgian wine from master vintner Iago Bitarishvili, biodynamic wines from French producer Alexandre Bain, plus many more. The O'Briens train leaves Cork and heads to Dublin for two nights at the Print Works in Dublin Castle. Grab a glass and taste your way around 200 wines and meet 50 winemakers. Proceeds will go to support Down Syndrome Ireland and LauraLynn, Ireland's Children's Hospice. Early bird tickets are one sale at 2 for €30 here. The annual JN Christmas portfolio tasting is a unique opportunity to taste a wide selection of wines and to meet the people who have a hand in making them. The JN team will give you a glass and tasting list at the door, and after that it's all up to you. Tickets cost €20 for The Merrion Hotel, Dublin and £20 for the Titanic Building Belfast. More details here. Join the team from The Corkscrew at their annual charity wine fair. Over 100 fantastic wines will be open for tasting with white, red, sparkling and fortified from all corners of the earth. They will be supported by some of their importers, giving you chance to meet them and see what new wimes are available as wintertime draws near. Tickets can be bought here cost €20 or 2 for €30 and all proceeds go to Saint Luke's Hospital. Released on the 3rd Thursday in November every year, Beaujolais Nouveau day is one of the biggest parties in the wine calendar. The day is a celebration of the new harvest and the wines are fun, fruity, simple and ideal for sharing with friends over a good place of charcuterie and cheese. Green Man Wines will be pouring a selection of nouveaux from some of Beaujolais’ most quality-driven artisan producers, growers who have driven a new ethos of quality across the region along with some rustic French nibbles. The charismatic Chris Forbes will be flying in from Porto to talk (and taste) you through a stunning line-up of exceptional Ports at Green Man Wines Terenure. We are going to taste a range of Ports which will include a White Port, a Ruby, a Tawny, an Aged Tawny, an LBV and of course a Vintage Port. The tasting will be ideal for those new to Port but seasoned Port veterans will definitely enjoy the line up too. Tickets cost €40 each with more details here. Ristorante Rinuccini is delighted to add a second date to their Taste of Tuscany wine pairing event with Marco Gavioli, owner of Cantina Gavioli, Tuscany. A delicious seven course tasting menu created by Head Chef & Owner Antonio Cavaliere will feature Tuscan inspired dishes paired with wines of the region. Clonmel-based wine merchant, Red Nose Wine, will host a unique wine tasting in aid of the fantastic South Tipperary Hospice Movement (STHM). Winemakers from Champagne, North Spain and the South of France will be in attendance along with the team from Red Nose Wine showcasing a large and diverse range of wines and champagnes. Tickets cost an excellent €15, and Red Nose Wine will sponsor all wines so that all proceeds go to STHM. Tickets can be booked online at www.rednosewine.com. Tickets are also available from the STHM office on The Quay, Red Nose Wine in the Regal Centre and Marian's Bookshop, O'Connell Street. Green Man Wines are back with their second Christmas wine fair. 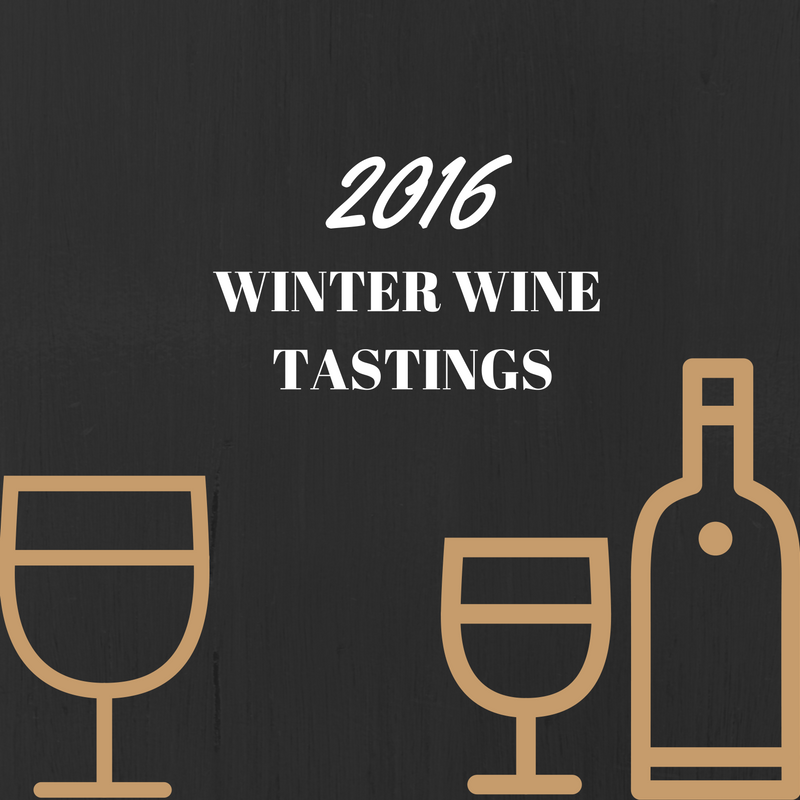 Over 100 wines will be open for tasting, with the importers on hand to advise and guide. Nibbles will be available and all proceeds will go to Barnardos. Tickets cost just €15 and more details can be found here.